On sale! 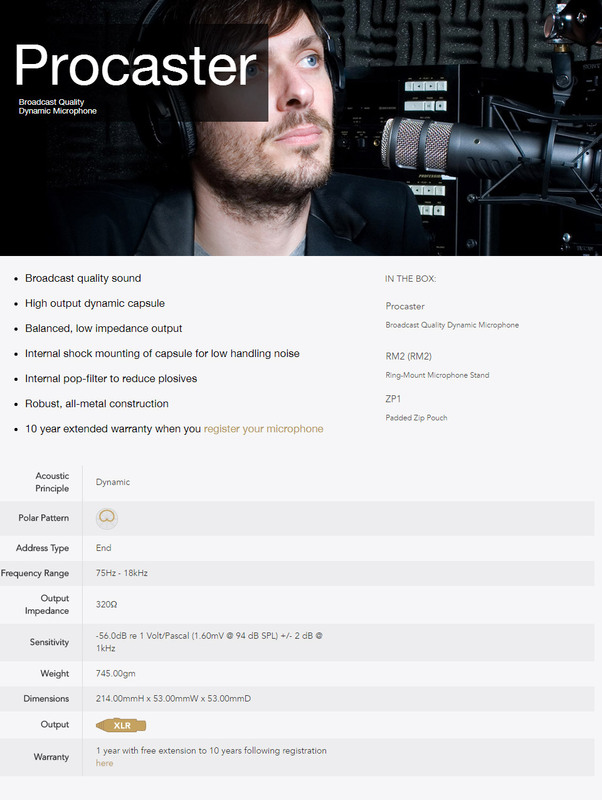 (normally $249) The RODE Procaster is a professional broadcast quality dynamic microphone, specifically designed to offer no-compromise performance for voice applications in the broadcast environment. Featuring a tight polar pattern and tailored-for-voice frequency response, the Procaster is perfect for every application where a great sounding, robust microphone with superior ambient noise rejection is demanded. The Procaster features an internal pop filter, designed to minimise plosives sounds that can overload the microphone capsule and distort the audio output. 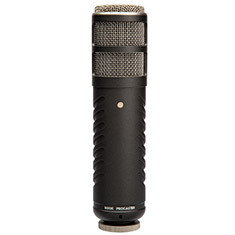 Its high output dynamic capsule and balanced low impedance output make it an ideal broadcast and voice over microphone. 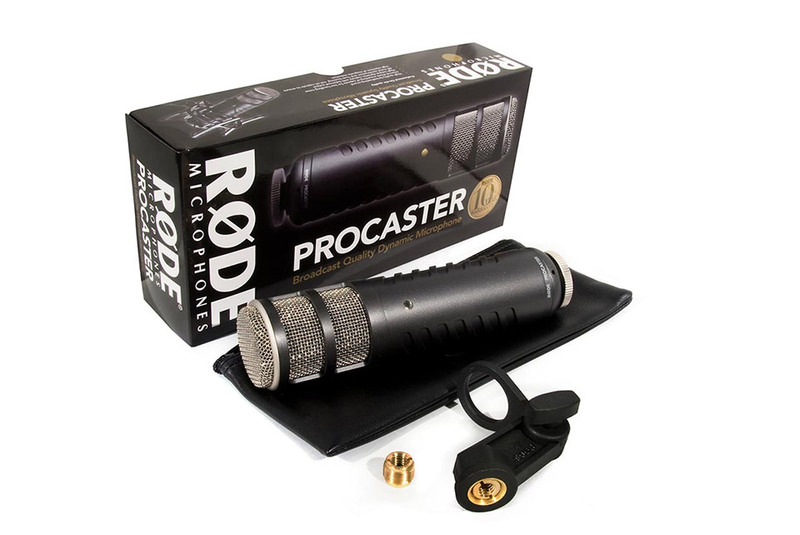 The RODE Procaster microphone is designed and made in Australia, and covered by RODE Microphones' industry leading 10 year warranty.